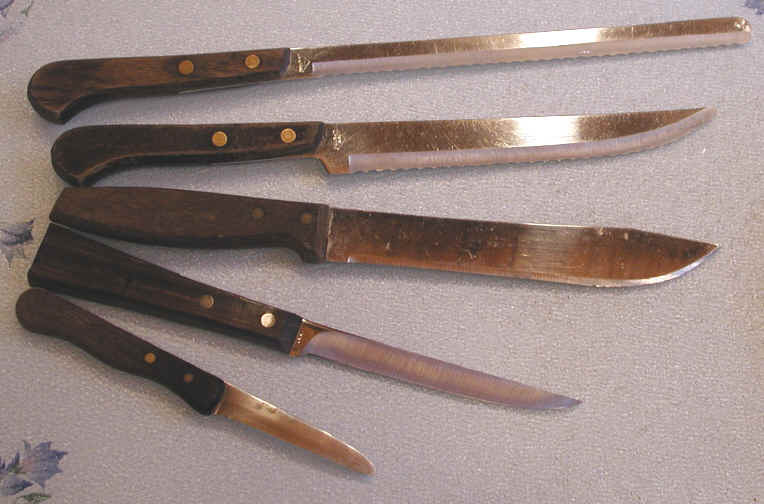 Knives, inexpensive utility ones are just as effective in everyday kitchen use as the expensive ones. 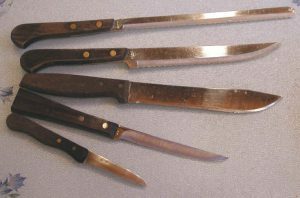 Really good knives can cost a lot of money, and are not really necessary for the average person to use when cooking for one’s self or family. There are plenty of good knives sold in discount department and specialty stores that will adequately serve the needs of most people, though we must caution not to buy the really cheap ones that don’t hold an edge or that have blades that are too flexible. We suggest buying a bread knife, a curved grapefruit/utility knife, and several general purpose knives. There are also some really nice reasonably priced knives that are sold in sets for a variety of uses.